You're on the right page if you want answers to: what course can I study with e8 in physics? Or you want to know medical courses without physics, engineering courses without physics and any other science courses without physics in Nigerian universities. SSCE result is REQUIRED to gain admission - just as JAMB UTME result. But candidates suffer some setbacks when they don’t have the right grade in one or two of their required subjects. You will be happy to learn that even if you don’t have credit passes in one of your O’level results, you still have a good chance to gain admission with it if you have the right information. The purpose of this series is to give you clue to courses you can opt-in for, with a pass in English, Mathematics, Chemistry, Economics, Commerce, Geography, Biology, Account, Government, Literature in English or any other important subjects. 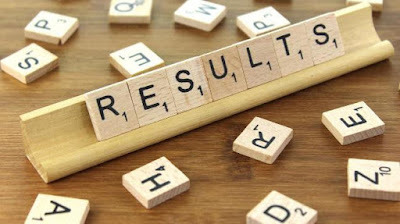 I’d researched into this before posting, yet this piece will continually be updated as soon as I need to answer further questions related to deficiencies in O’level result and admission. But for the purpose of better focus and concentration, this post will address the deficiency in PHYSICS and my subsequent posts will be addressing other subjects. To gain admission with NECO, WAEC, NABTEB or their equivalence, all you need is at least five credit passes in not more than two sittings. I explained this further in the post “SSCE Results: How to know 5 Compulsory Subjects to Pass for Admission Purpose”. Courses like Medicine, Nursing and Pharmacy may only, however, require one sitting. Though this depends on schools policies, yet this position is widely acceptable. Osun State University, Osogbo, for instance, declared in her Post UTME exercise advert that Nursing and Law requires one sitting. University of Ibadan, Obafemi Awolowo University, University of Lagos, University of Benin and some other premier universities have open policies of not accepting two sittings for College of Medicine and Health Sciences courses. To gain admission, then, you must provide 5 credit passes in subjects relevant to your proposed course. But it can be disheartening if however you were disappointed with D7 or E8 (even F9) in any of your core subjects. So what do you do? Some courses allow you to have ordinary pass D7 or E8 in WAEC, NECO, NABTEB etc Below is the full guide to courses that allow it and the attached conditions. What Courses Can You Do With D7 or E8 in Physics? Generally speaking, Physics is central to Engineering and Technology and Medicinal/Clinical Sciences courses than Pure Sciences and Agricultural Sciences. In order words, it is compulsory to have at least a credit pass in Physics if you must seek Engineering and medical courses admission. This is why it is IMPOSSIBLE for you to do any technology related courses without PHYSICS – unless such a school is extremely lenient. Check JAMB brochure and you will find out that no Physics – no Engineering and medical courses. However, this doesn’t mean that all non-engineering courses will accept a deficiency in Physics – No. But some do accept it. Go through the links above to move to details of the individual course and see their terms. While in general terms, those courses mentioned above (and others to be added later) do not compulsory credit in Physics, some schools may still demand specifically if what they want is an ordinary pass (D7 and E8) or F9 (or never written). You may be interested in these conditions. If you want to study Chemistry, for instance, some schools accept the following alternatives for Physics. So, if you don't have physics, give them the alternative instead. Ajayi Crowther University accepts Geography in the place of Physics. The University of Calabar requires O'level credit pass in Physics /Mathematics. They accept O'level D7 in English and one (1) of Mathematics or Biology. Gombe State University accepts O level pass in Physics. Federal University of Technology Minna (FUTMINNA) requires five (5) O'level credit passes to include English Language, Mathematics, Chemistry, Biology and any other Science subject. At least pass (D7 or E8) in Physics is required. Federal University, Dustin-Ma accepts five (5) O'level credit passes to include English Language, Mathematics, Biology, Chemistry and any one (1) of Physics, Geography, Health Science or Agricultural Science. Pass (D7 or E8) in Physics will be accepted. Olabisi Onabanjo University (OOU), Ekiti State University (EKSU) and University of Ilorin (ILORIN) accept a pass in Physics. Benson Idahosa University (BIU) requires at least O level pass in Physics. Kogi State University (KSU) requires five (5) credit passes at SSC in English Language, Mathematics, Chemistry, Biology or Agricultural Science, Economics or any other Science/Social science subject and a pass in Physics. A credit in Agricultural Science must be backed up with an at least O level pass in Biology. Federal University Oye Ekiti (FUOYE) requires O level credit pass in Physics and consideration can be given to candidates with O level credit in Mathematics and O level pass in Physics. Godfrey Okoye University (GOUU) accepts O'level credit pass in any other Science subject in the place of Physics. Landmark University (LANDMARK) accepts in the place of Physics O level credit passes in any of the following subjects: Further Mathematics, Technical Drawing, Agricultural Science, Food and Nutrition. Madonna University, Elele (MADONNA) and Ebonyi State University (EBSU) accept O level pass in Physics with O level credit pass in Mathematics. Federal University of Technology Minna (FUTMINNA) requires at least O'level pass in Physics with O'level credit pass in any other Science subject. Crescent University (CUAB) requires five O level credit passes in English Language, Mathematics, Chemistry and Geography with a pass in Physics, Biology and Agricultural Science. Evangel University Akaeze (EVANGEL) accepts any other Science subject in lieu of Physics. Federal University Dutse (FED-DUTSE): (a) For Environmental Science and Toxicology accepts O level credit pass in Geography in lieu of Physics. (b) For Microbiology accepts any other Science subject in lieu of Physics. Western Delta University (WESTER-DEL): For Environmental Management and Toxicology accepts O level credit passes in Agricultural Science in lieu of Biology and Geography in lieu of Physic. Kings University (UNIKINGS) accepts O level credit pass in any other Science subject in lieu of Physics. Landmark University (LANDMARK) accepts in lieu of Physics O level credit pass in any of the following subjects: Further Mathematics, Technical Drawing, Agricultural Science and Food and Nutrition. AJAYI accepts Geography in lieu of Physics..
RSUST requires at least O Level pass in Physics. LAUTECH requires English Language, Chemistry, Biology/Agricultural Science and any of Physics/ Economics/Geography. In other words, if you don't have Physics but have either Economics or Geography, it's acceptable. University of Ibadan (UI) requires five (5) credit passes including English Language, Biology/Agricultural Science, Chemistry, Mathematics and any one of Geography, Physics or Economics. In other words, if you don't have Physics but have Geography Economics, it's acceptable. Olabisi Onabanjo University, Ago Iwoye (OOU), Ekiti State University (EKSU) and University of Ilorin (UNILORIN) accept O'Level pass in Physics i.e Either D7 or E8. Imo State University (IMSU) accepts O'Level pass in Mathematics (D7 or E8), along with credit pass in Physics and vice versa. In other words, you must just have at a credit in Mathematics or Physics. Federal University, Dutsin-Ma (UNIDUTSINMA) requires five (5) SSC credit passes in English Language, Chemistry, Biology/Agricultural Science, Mathematics and Physics/Geography/Economics/Agriculture Science, Physics/Geography, Home Economics/Food &Nutrition. Babcock University Ilishan Remo (BABCOCK) requires five (5) O Level credit passes to include English Language, Mathematics, Chemistry, Biology. Nigerian Army University Biu (NAUB) requires at least O'Level pass in Physics i.e Either D7 or E8. UNIZIK accepts O level pass in English Language. O level credit pass in Mathematics or O level pass in Physics or vice versa. JABU accepts O level pass in Physics. EBSU requires at least O Level pass in Physics. TSUJ and ABSU require five (5) SSC credit passes in Chemistry, Mathematics, Biology/Agricultural Science, Physics and English Language. TSUJ accepts O Level pass in Physics. BAUCHI requires O Level pass in Physics. GOUU requires five (5) O Level credit passes at not more than two (2) sittings in subjects which must include English Language, Mathematics, Chemistry, Physics and Biology. NDA requires one (1) other Science subject from Physics, Further Mathematics or Agricultural Science. I'm continually working to update this list. You may need to visit this page again for such updates or subscribe to receive email notification when I add more.